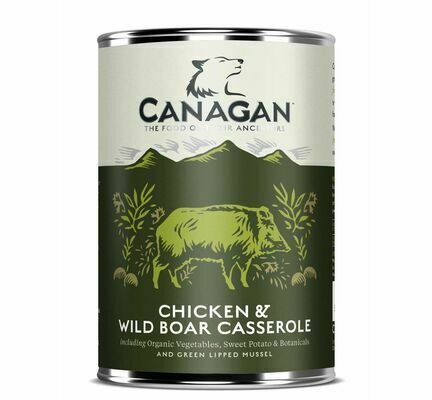 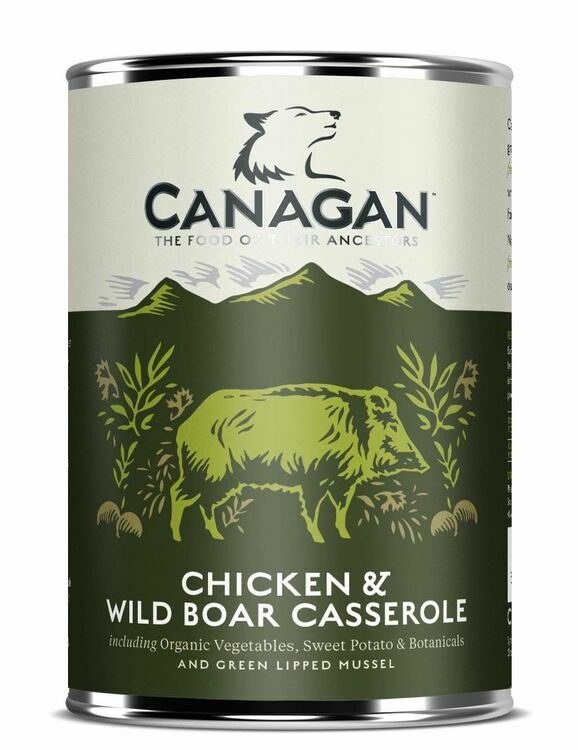 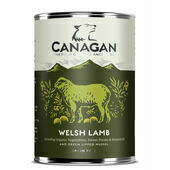 Chicken & Wild Boar Wet Dog Food from Canagan will provide your dog with a complete and well balance wholesome and mouthwatering meal. Packed full of over 60% fresh meat as well as organic vegetables and minerals it delivers a tasty and nutritious meal for your pet. 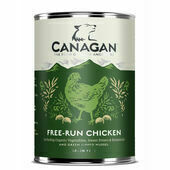 Ingredients: Freshly Prepared Deboned Free-Run Chicken (39%), Freshly Prepared Deboned Wild Boar (26%), Sweet Potato, Organic Carrots, Organic Peas, Organic Broccoli, Vitamins & Minerals, Green Lipped Mussel*, Salmon Oil, Organic Apple, Organic Spinach, Seaweed, Parsley, Yucca, Rosehips, Nettle, Marigold, Slippery Elm, Aniseed, Peppermint, Rosemary. 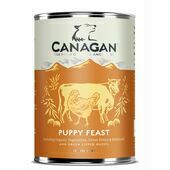 My very fussy cockapoo loves this food.